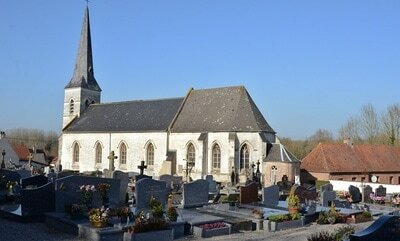 Maresquel-Ecquemicourt is a village in the Department of the Pas-de-Calais, situated 9 kilometres north-west of Hesdin. There is one Commonwealth burial of the First World War in the north part of the churchyard. 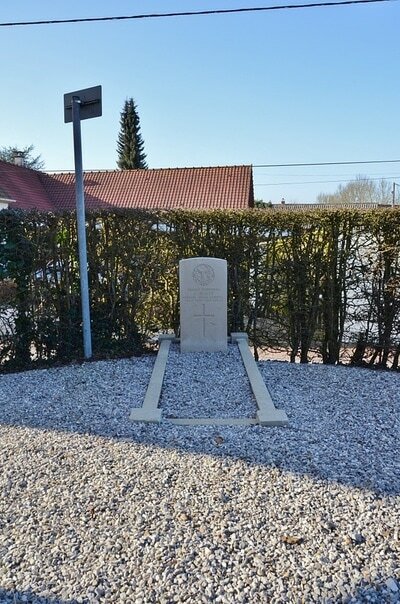 266165 Corporal James Scott, 6th Bn. Gordon Highlanders, died 18th May 1918, aged 22. 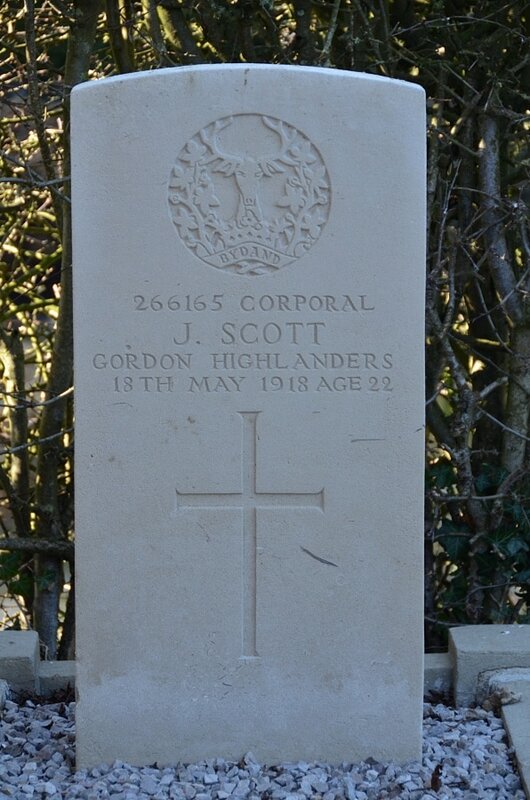 Son of James and Jane Scott of the Police Station, Huntley, Aberdeenshire.